Thomson Vineyards wrapped its Pinot Noir harvest last Friday with exception of the 1 Ton that remains on the vine to be harvested this Friday for its first vintage under The Farmer’s own label. The sampling and chemistry performed to acquire Brix, pH, and TA leading up to the pick is a haggard road, fraught with emails, phone calls and on site visits between the grower and the winemaker. 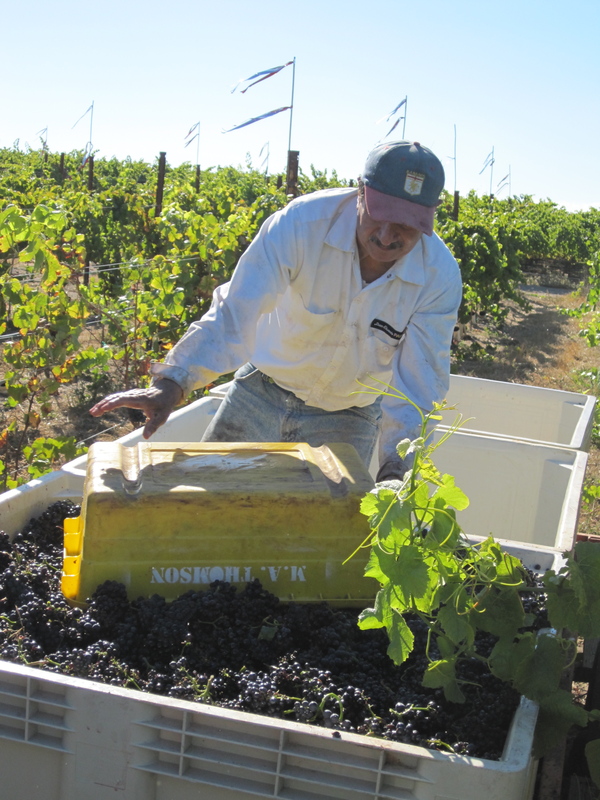 We haven’t gotten the lab analysis back on that fruit, but we’ve been here before with Peter and his 2009 Hocus Pocus Pinot Noir Thomson Vineyard Carneros made a pretty good wine; even if The Farmer still turns his nose up at harvesting at 23 Brix. He and @BParkerChuck who stated on Twitter recently that he sees red when Farmers pick fruit below 25.5 Brix. While The Farmer waits for the analysis on Block 1, I figured I’d highlight the haggard road I went down with The Infamous Winemaker in blocks 3 and 4 where he was the first of the four to pull the rip cord and call for a pick on September 16 (clone 667) and again on September 20 (Martini clone). 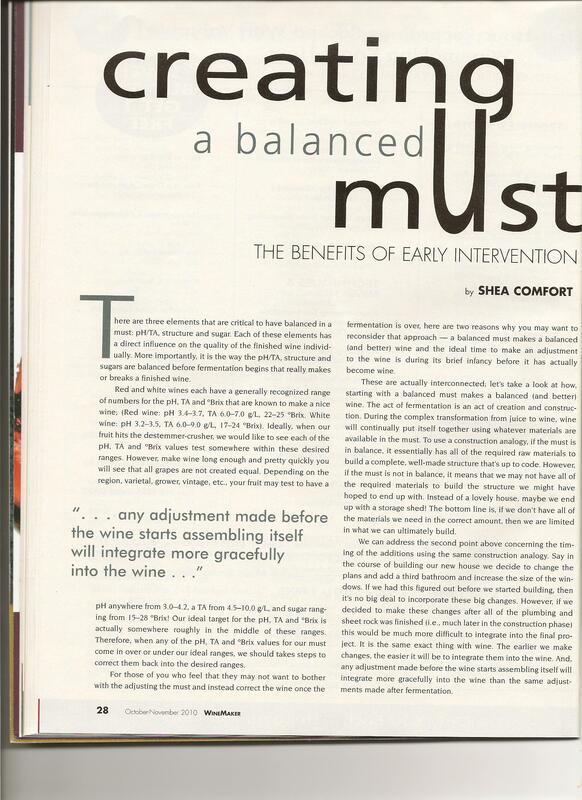 It should be noted that The Infamous Winemaker also has an obsession with a recently published article in Winemaker Magazine and the following target ranges for Pinot Noir Chemistry: Brix=23 – 24.5 pH=3.3 – 3.6 TA=0.6 – 0.8. Sample Time of Day: 7-8 a.m. Sample Notes: Chemistry performed 9/11, sample sent in cooler and stored in fridge. Sample mailed to Vinquiry for certified lab testing and confirmation of Winery chemistry results. Vinquiry Certified Lab Chem: Vinquiry confirms at later date no sample received at their labs. Upon more investigation it seems the sample “exploded” at the postal drop and valiant USPS employees discarded of the hazardous waste! Sample Crew: The Farmer, The Millennial Daughter/ Winemaker Handler, and FT vineyard employee. Sample Time of Day: 7 a.m. on the dot. I was late and got reamed by The Farmer for the crew being there and me leaving them hanging. Work one harvest and you’ll quickly understand it’s not cool to leave the crew waiting on you while you roll up with a hot coffee in hand. Sample Chem: Performed by Thomson Vineyards. Numbers right on in 2009. Right on in 2010. We’re not lucky, we’re just good. Sample Time: 2-3 p.m. We got sidetracked at lunch. 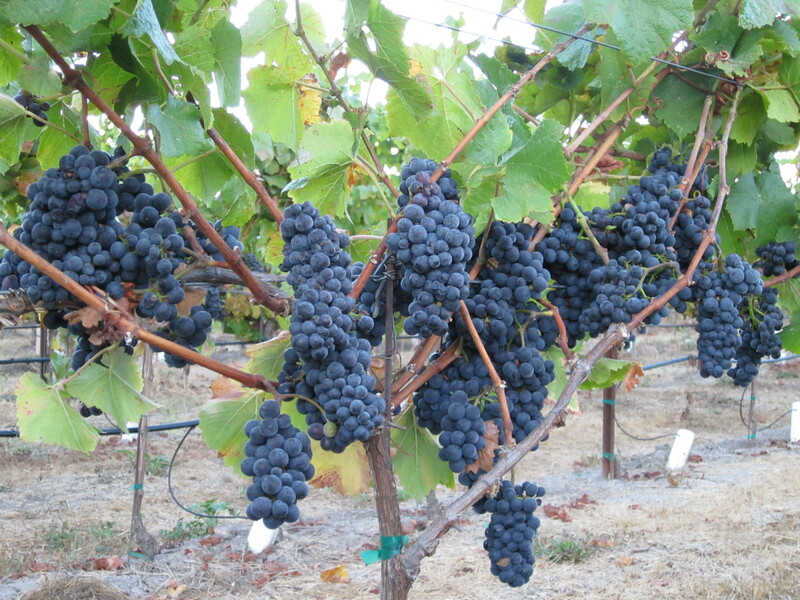 Stick with me for the ongoing scientific trials and tribulations concerning the recently concluded Martini clone harvest; where two out of three winemakers are ecstatic that they got their hands on some of The Farmer’s precious 34-year-old Pinot Noir Carneros vines. I’ll give you one guess just which winemaker is the most difficult to please. Mixed messages are his specialty. « Buy American. Source Parts From Italy.